We're here to help you to get exactly what you want from your website and digital marketing. Websites designed to be seen and built to function. 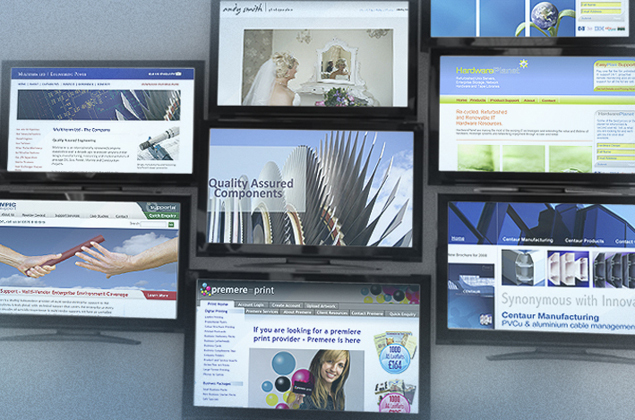 We bring a wealth of expertise and experience to make your products and services click online. Responsive website design for desktop, tablet and mobile. Attractive content and full technical support built on engaging features for you and your users. Whether you're starting from scratch, redesigning or redefining your website activities, we have all the skills on hand to help you make more of your business online. Expand, communicate and connect with customers. From mini to massive, you'll get all the content, features, tools and support you need to attract traffic, capture leads and generate sales. A fully integrated package of services for your website, marketing and web business development that'll set you apart from the competition and continue to deliver for many years. Gain the initiative online through our customer centric approach in responsive design and robust functionality. By using your marketing assets in a more productive way, plus a few new ideas and features, we'll deliver dynamic web content that makes the most of your prospects online and helps your business grow. Now is the time to take a fresh look at how you do business online. Call Studiografik direct on 0749 268 4339, email or post your project here.